A few weeks ago I was contacted by CUT MAKE TRIM who very kindly offered me one of their beautiful bags. A satchel company based in London, their products are constructed from the finest quality leather. 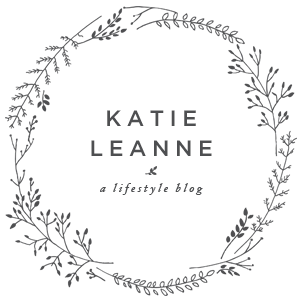 As you may or may not know I'm a complete bag fiend and am all for supporting British brands, so I was very excited to take a look at their website. CUT MAKE TRIM has recently launched a new range of products that are slightly different to its usual satchel designs (the Loretta, Tammy, Dexter and Aubrey). 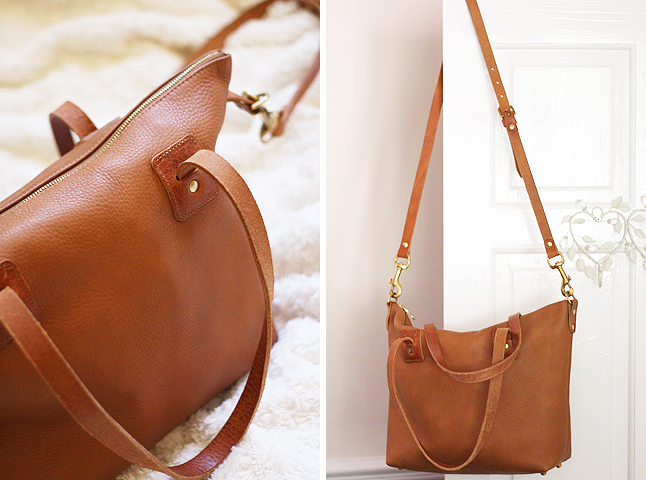 After much deliberation I finally decided to go for the 'Loretta' in tan. 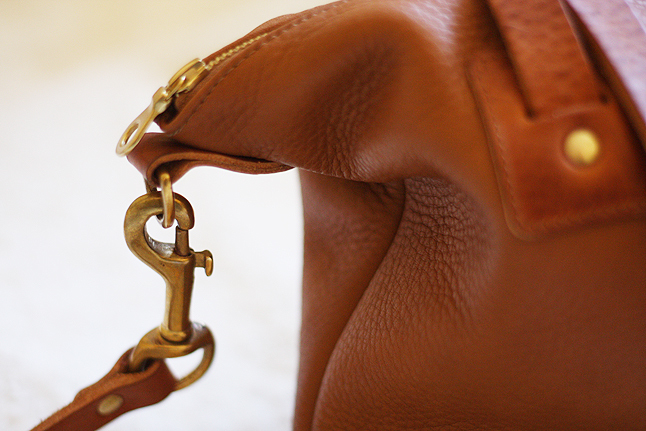 As you can see, it has been crafted with the most incredible attention to detail (each bag is made individually), featuring buttery Italian leather and solid brass accents. It has a nice weight to it and comes with both a detachable strap and long handles, so it can be carried in the crook of the arm or over the shoulder. Initially I was a little worried this would be too large (I'm really into smaller bags at the moment) but luckily it's the perfect height. It fits all my essentials - including my iPad if I need it - yet it doesn't appear too oversized. 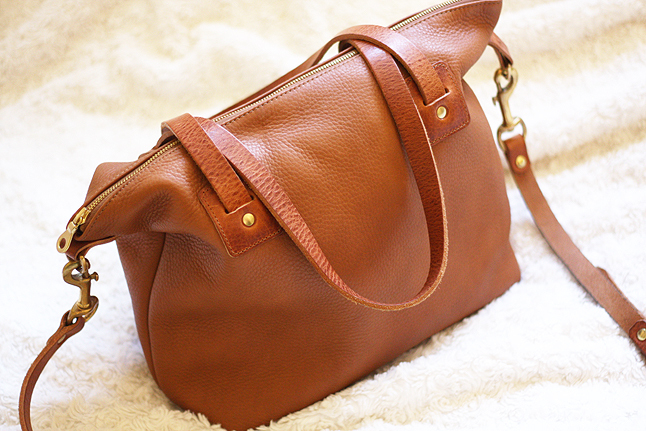 I love the fact it's not too structured, either, which is something I usually go for when I'm shopping for bags. It's nice to have something a little more relaxed. I've had a lot of use out of this ever since it arrived and have received so many compliments - even my dad commented on the quality of it. As with most leather products, I think it'll wear really well over time and will hopefully last me years to come. I also found the website very easy to navigate and placing my order was a breeze. My Loretta was delivered quickly and arrived beautifully packaged. If you're into your leather bags I'd 100% recommend taking a look at CUT MAKE TRIM. Their products would make for a lovely gift due to the fact they're all specially made rather than being mass produced. They really are something you can treasure for life. You can view CMT's full range of satchels online or every Saturday and Sunday at the Jubilee Craft Market in Covent Garden. * This post has not been sponsored. My Loretta was very generously gifted by CUT MAKE TRIM, however all opinions are my own. What a beautiful bag, it looks just like something that I'd purchase myself. This bag is gorgeous!! I love the shade of brown. Wow this is such a beautiful bag, I love that it has the alternative straps and the colour is so nice! Great addition! Ooh that is such a beautiful bag! I'm not looking for a bag right now but I went to their site to drool over it. Wow! This bag is gorgeous!! !